organizational impasse, and relational conflict. Litigation costs and endless procedural practice are often the less-than-desirable consequences of legal disputes. The good news is that in most cases, these situations can be averted through skilled counsel and professional assistance. Osborn Conflict Resolution assists parties as both an advocate and a neutral third party in mediation and arbitration proceedings. Our lawyers are among the first group of North Carolina litigation attorneys trained in the practice of collaborative law for non-domestic civil disputes. Under the collaborative law model, the parties and their attorneys work together in pursuit of a mutually agreeable outcome–before the “litigation meter” starts running. Whether a legal disagreement stems from a business matter, a family disagreement, or any other kind of interpersonal conflict, we have the knowledge and experience to guide parties toward a resolution in which everyone gains a measure of success by avoiding the inevitable stress and expense of litigation. Creative pursuit of “win-win” resolutions — With our combined decades of litigation experience, we know the true costs of going to court. By looking at the broader perspective, we can help you consider whether using mediation or collaborative law might be your most cost-effective choice. Experienced guidance through the Mediation and Negotiation process — Chris Osborn’s experience as a longtime ligation attorney, former federal law clerk, and law professor has equipped him to understand and guide clients though most any kind of business or commercial dispute. In addition to understanding the law, our attorneys have the practical knowledge to equip disputing parties to pursue practical strategies for resolution, and to empower and equip clients to negotiate more effectively towards an amicable, but fair resolution. 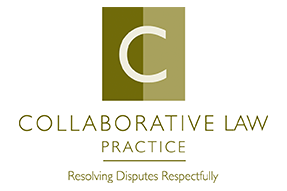 Collaborative law for civil disputes: Even bitter adversaries and spouses who have lost faith and trust in one another can benefit from using the collaborative law process to resolve disputes. Wherever possible, we are passionate about helping people work together to focus on their futures, share information, and reach agreement outside of court. 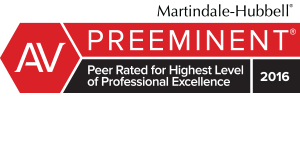 Highly rated by peers — Chris Osborn has earned an AV® Preeminent™ Peer Review Rating by Martindale-Hubbell®, attorneys familiar with my work for both his legal ability and ethics and integrity. Once people understand the advantages of resolving disputes outside of a courtroom, they often return to Osborn Conflict Resolution to pursue a better way of navigating legal disagreements. Real Estate and Construction law — Disputes over real property and construction projects are often complex, maddening, and costly. Having represented numerous real property owners, developers, architects, engineers, general contractors, and subcontractors, I am familiar with all the different ways that parties to a construction contract can get sideways with one another. More importantly, that background enables me to help parties negotiate practical, cost-effective, amicable resolutions that get projects back on track for completion. Collaborative Separation and Divorce: We would love to provide you with an orintaiton to spearaiton, and a through overview of your options for resolving all the emotionally charged issues that accompany separation and divorce. Believe it or not, you do have more choices for how to proceed than may be readliy apparent. Labor and Employment law: Disagreements about issues such as discrimination and non-compete covenants are well suited to alternative methods of dispute resolution because the parties are familiar with each other. I help clarify vague standards and promote compromise that protects each party’s rights. Legal Malpractice Claims: Lawyers are required to act with professional conduct and integrity. When a lawyer is accused of not upholding these obligations, or committing legal malpractice, the stakes are high. My unique training as a mediator, skill set, and background as a frequent Continuing Legal Education presenter on ethics and professional responsibility means that I not only understand the Rules of Professional Conduct, but I also understand why and how mistakes may happen in the practice of law. Probate and trust litigation — Quarreling over the distribution of a decedent’s assets can quickly threaten to consume or erode the assets themselves. In handling probate and trust litigation matters, Osborn Conflict Resolution provides knowledgeable counsel that is cognizant of and sensitive to the emotional strain and family dynamics involved. Although there are of course some matters that need to be adjudicated through litigation, but why not explore whether your particular situation might be appropriate for a collaborative approach? Osborn Conflict Resolution helps clients resolve all types of disputes through mediation, collaborative practice, arbitration or, when absolutely necessary, litigation. Call 704-579-5524 or contact us online to schedule an initial consultation by telephone or at our Charlotte office.